Must see beautiful, totally renovated, one story, 3bed/2bath home in Cooper City. Completely remodeled featuring an open floor plan design. 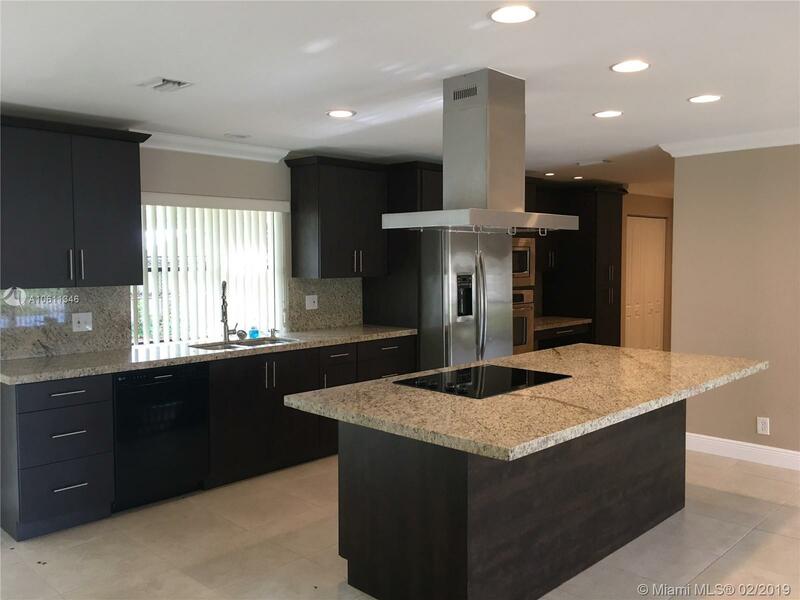 Kitchen has granite counter tops, new stainless steel appliances, wall oven, side utility desk, pantry, kitchen island with counter top stove and stainless steel/glass hood. Tile flooring through out. Nice backyard with a large concrete deck and room for a pool, fenced, spacious 2 car garage. Large master bath, with 2 sinks, storage, shower head with jets and hand held shower. Walk-in closet in master bedroom. Freshly painted inside and outside. Recently landscaped. Zoned for excellent schools. Near major highways. No HOA fees.